A Bore (or more specifically a Ground Water Bore) is a shaft constructed to extract water from an aquifer. If the water flows to the surface without the need for a pump, then the bore is called an artesian well. If a pump is required to lift the water from the well, it will normally be a submersible pump. To prevent surface water from entering the well and contaminating the bore's water, a concrete apron is placed around the wellhead. The concrete apron is laid to slope away from the point where the bore pipe emerges. Bores are important water source for some communities. Depending on the quality of the bore water and its intended use it may need to be treated at a Water Treatment Plant before being used. The quality of bore water is checked to ensure that it complies with accepted standards for the parameters of turbidity, iron, manganese and corrosivity. 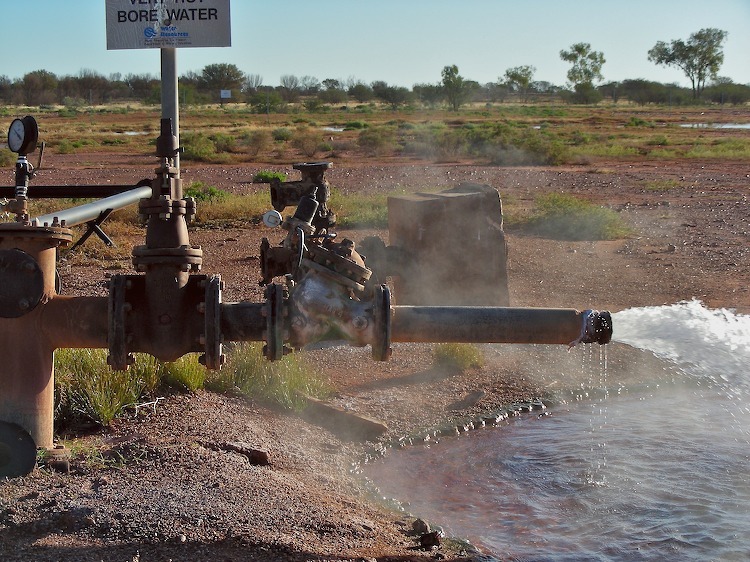 About 40% of Bundaberg's water supply comes from bores. Typically a Bore Pump Station is constructed over the bore shaft and the water is pumped into a limestone spraybed to adjust its pH. The water then gravitates from the spraybed into a reservoir, before being pumped via a Highlift Pump Station into the Water Reticulation Network.